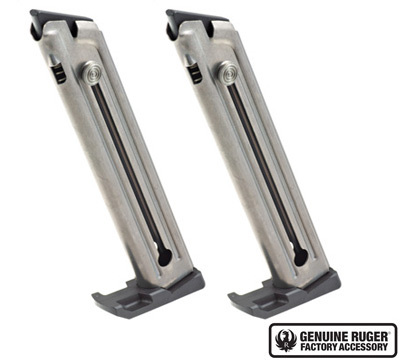 - 2- Pack (two) steel, 10-Round, .22 caliber magazines for the Ruger® Mark IV™ 22/45™ and Mark IV™ 22/45 Lite®. New Electroless Nickel finish is super slick. Fits, feeds, and functions better than blue mags. Was a legitimate Ruger part. I’m please with the purchase. And the business with eabco.net.